Animals Asia mentors or funds 60% of all animal welfare groups in China, because we know working together is the only way to succeed. An estimated 10 million dogs are slaughtered and eaten in China every year. The majority of these animals will be stolen companions or snatched strays. This brutality takes place not just in Yulin city for one week of the year, but all year round, all over the country. The only way to deal with a problem this widespread is to be everywhere all the time – an aim no single organisation can possibly achieve. The only way to succeed is to nurture China’s fledgling animal welfare groups, empowering them to create the communities they want to live in. Communities free from animal abuse where humans and animals live in harmony. In 2006, there were just 30 animal welfare organisations in China. Today there are more than 200. A staggering 120 of which are part-funded or mentored by Animals Asia. This represents an enormous investment in China’s grassroots animal welfare activists, but it’s an investment with exceptional returns. Since 2007, Animals Asia had provided local groups with over 925,000 public education materials, from leaflets, posters and banners to DVDs. As a result these groups held their own awareness raising events and together we reached over 15 million people in the last 10 years. Ordinary people aren’t the only stakeholders in China’s fight to end the dog meat industry and root out animal cruelty. The authorities must be involved too. 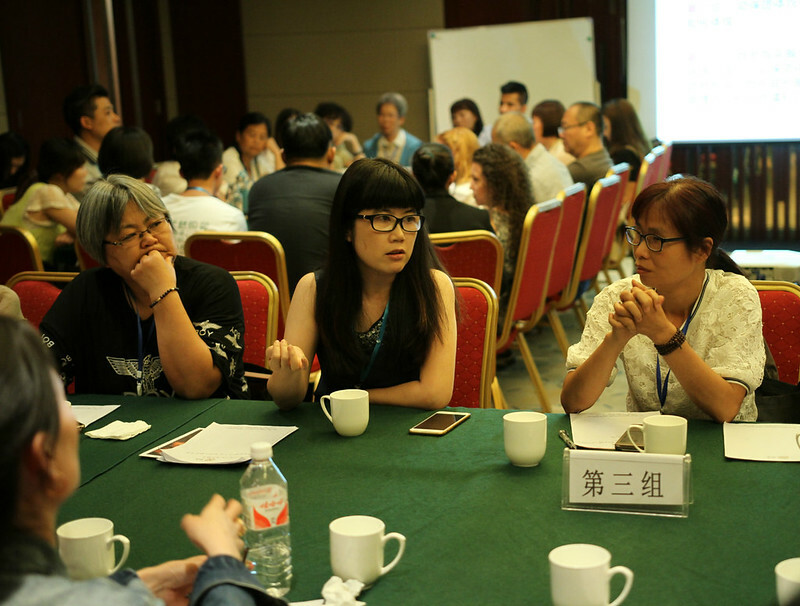 This is why Animals Asia organises the biggest conferences on cat and dog welfare in China. 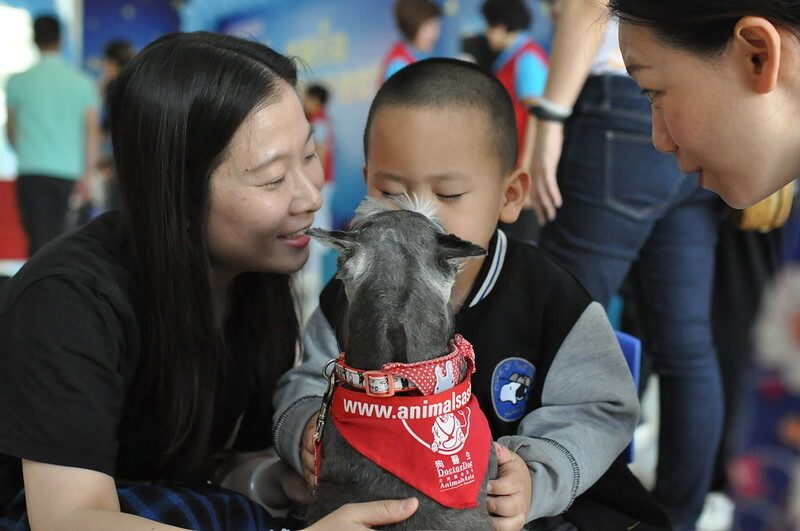 Every two years since 2006, local NGOs are brought together by the China Companion Animal Symposium. The event is a key incubator of ideas, helping empower local groups and giving them ideas to deal with cat and dog-related issues such as strays and the dog meat industry. The Companion Animal Symposium is well-attended with 735 NGO representatives taking part over the years. 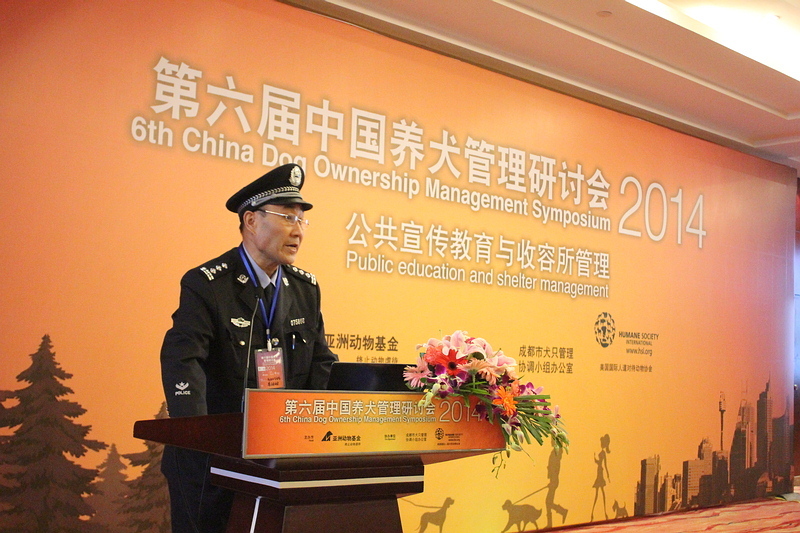 As a platform for co-operation, the symposium – and its sister event the China Dog Ownership Management Symposium – are unparalleled. 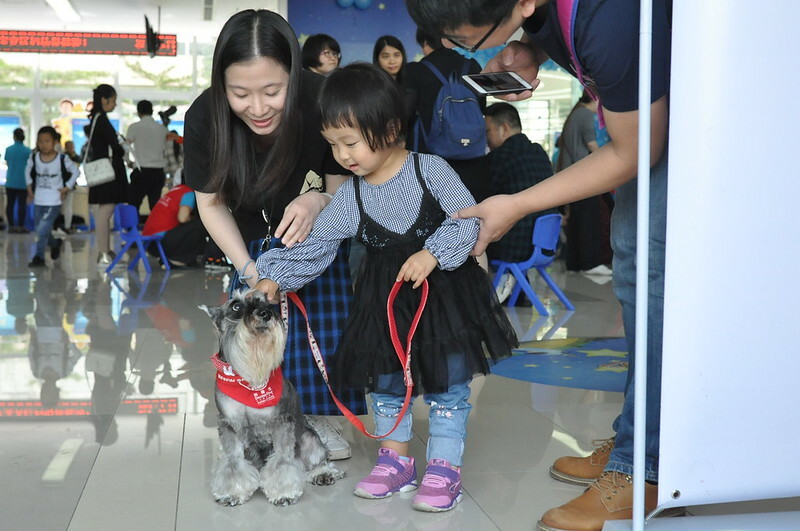 To date, more than 523 officials from 51 cities across the country have attended the Dog Ownership Management Symposium – covering every single principality in China, and 65% of all provincial capitals. The symposium encourages local governments to work with animal welfare groups to develop advanced, humane, science-based policies governing dog owners and departments in charge of stray populations. A lasting change can’t be built on anger. Anger is temporary and a poor foundation for a positive future. 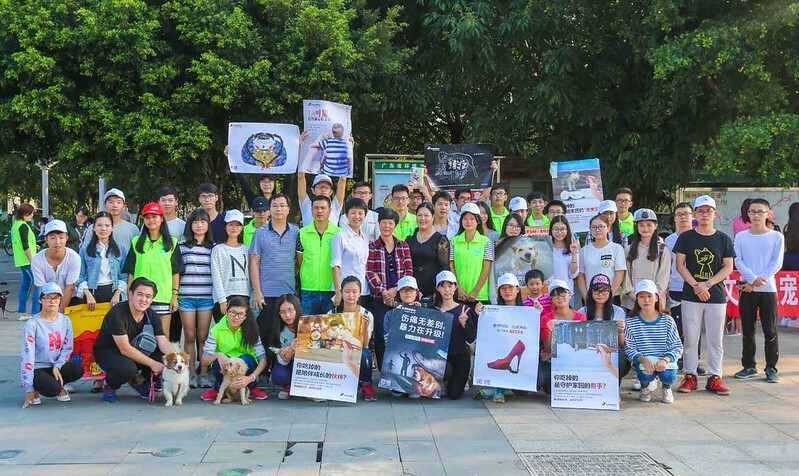 Instead, Animals Asia’s awareness raising on the cruelty of the dog meat industry is focused on a compassionate, inclusive message. We don’t say, “you can’t”, we say “you don’t want to”, because cats and dogs are our friends and can enrich our lives enormously. In Yulin city – notorious for increased dog meat eating during the summer solstice – we brought this message to an estimated 100,000 people through a public spaces ad campaign. The adverts, which ran on bus stops around the city for an entire month, read, “care for animals, care for life to build a harmonious society”. Our Dr Dog programme, which brings therapy animals into hospitals and nursing homes, has shown families just how uplifting time spent with a furry friend can be – especially in the darkest moments. Having run since 1991, Dr Dog has improved the lives of more than half a million people and spread to other countries including India, the Philippines, Japan and Malaysia. While Dr Dog brings a positive example of canine companionship to adults and those with special needs, Professor Paws does the same for children. Through school visits, this educational programme teaches children why we should love our companions while engendering respect and compassion for all animals. To date, more than 300,000 students in four cities have learned positive, compassionate life lessons from four-legged friends. “This is how we’ll end the dog meat industry in China: with welfare groups, ordinary people, the authorities, the young and the old, all pulling together.